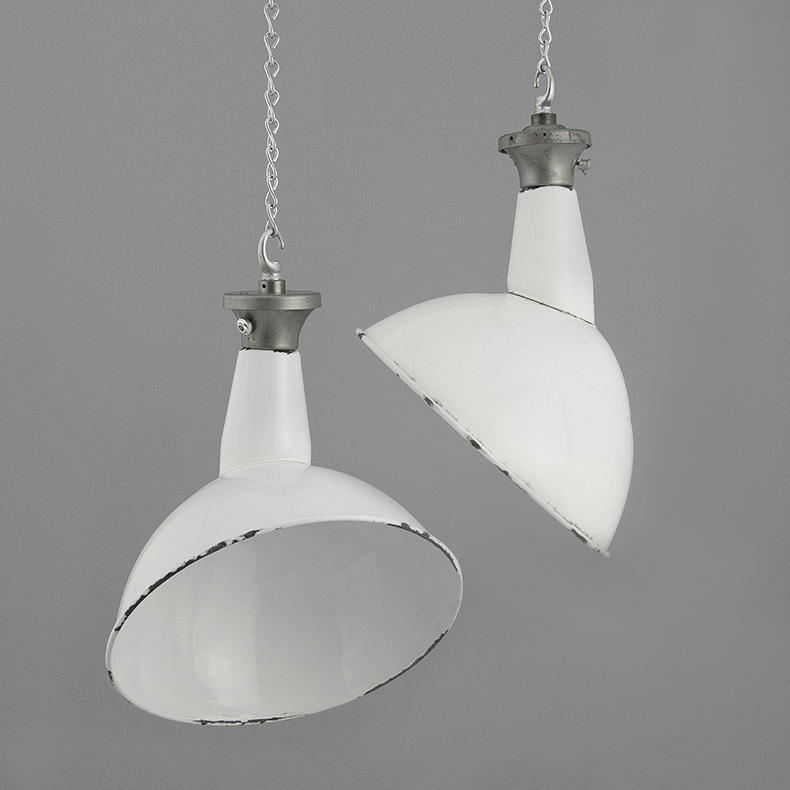 Here at skinflint, about half the lights we sell were made in Britain. And while the former Eastern Bloc’s clear, uniform look appeals to many of our customers, British vintage lights often come in small batches with a unique history and design. 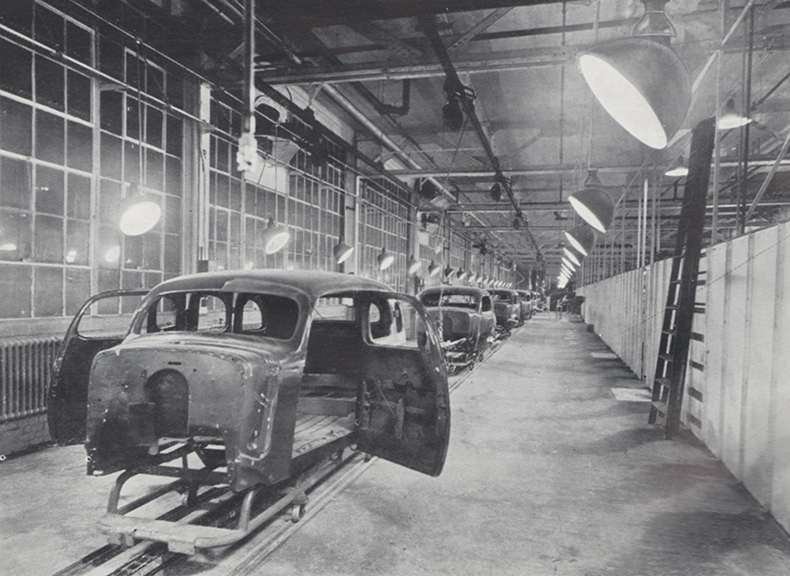 In mid-20th century Britain, competition in the industrial lighting market was intense. Dozens of companies produced long, detailed catalogues of light fitting designs – sometimes offering bespoke lights for particular jobs. And because these lights were so well made, many have outlived the buildings and spaces they were created for. That means you might often find vintage British lighting with an unusual story or distinctive shape – if you know what to look for. Britain’s industrial lighting market had dozens of brands. We choose four favourites. 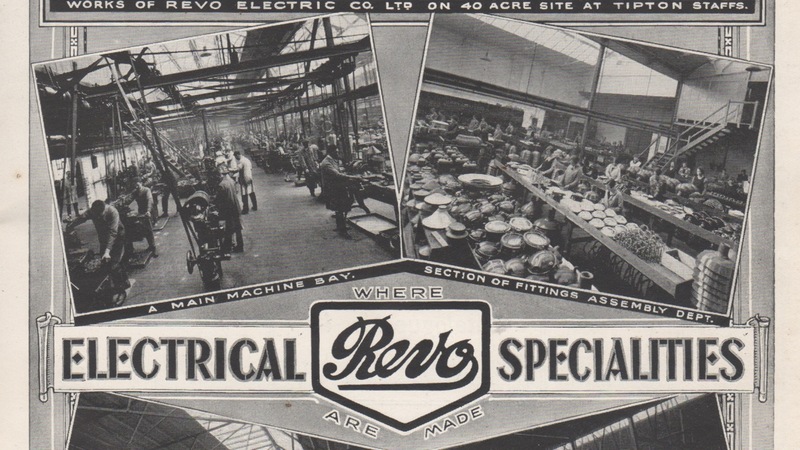 Based at a huge works in Tipton, West Midlands, Revo was a giant in British industry for much of the 20th century. It made all kinds of electrical goods, and between the 1930s and 1960s supplied a good deal of the UK’s street lighting – so well-made that some of it’s still in use. 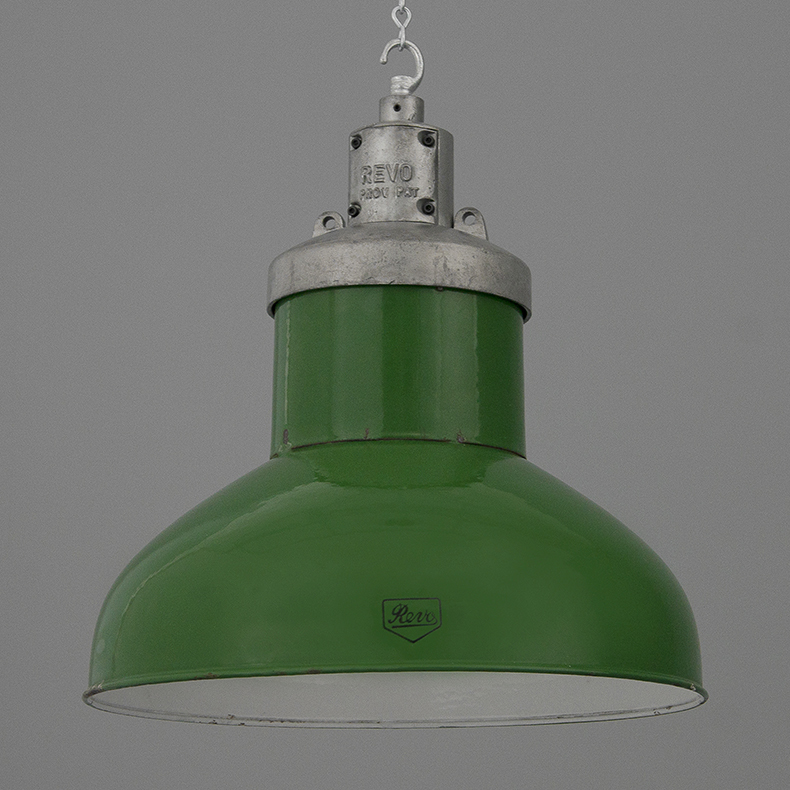 At skinflint, we regularly find Revo pendant lights enamelled in a distinctive British Racing Green – popular with UK customers, for obvious reasons – and the company’s size meant some places could have their own, unique designs; vintage street lights made by Revo for towns like Eastbourne and Cambridge are unlike any others. The General Electric Company (GEC) was founded in 1886 and started making electric lamps as far back as 1893 (often using the name Osram). It grew into an international conglomerate, and was successful for over a century. GEC was a major lighting provider, and was involved in setting up the UK’s National Grid, but today it’s probably remembered more for its work in the defence industry – and many of the GEC lights we’ve supplied lately have been found at military and public sector installations. Reuben Berkley Benjamin came up with many of the designs that became standard in industrial electric lighting – and sold GEC the patent for the original, classic RLM dome reflector pendant. In the UK, his company was based in Tottenham. In 1953, it made the lighting for the coronation, and many of the Benjamin dome reflectors we’ve restored have been of this vintage – it’s always satisfying to work with the original. 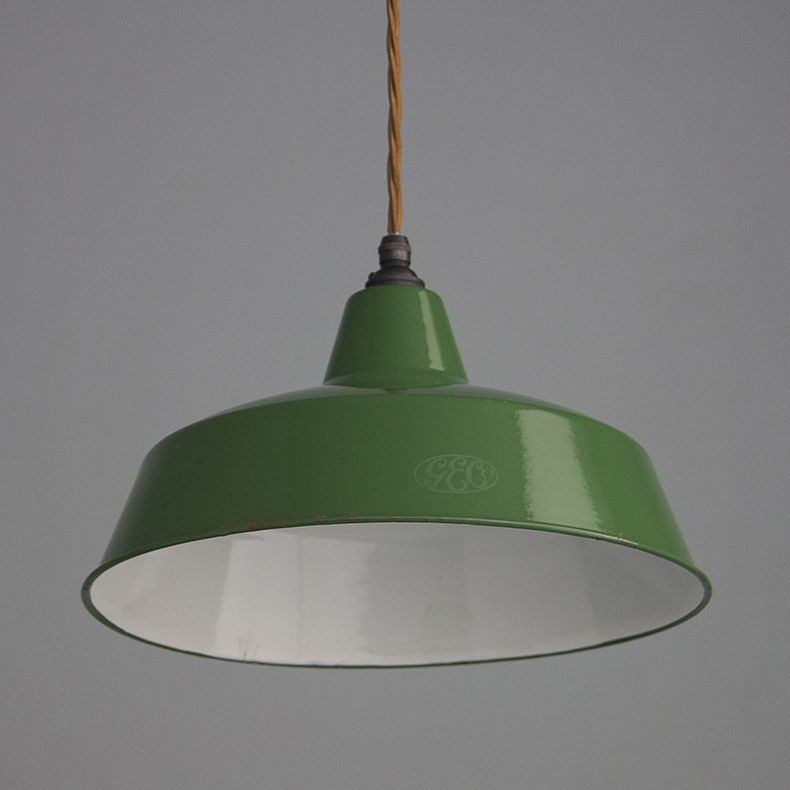 Generally, vintage British ceiling pendants were finished in vitreous enamel. The even, high-gloss finish from melting powdered glass onto metal reflected the light well, and protected the fitting from corrosion and dirt – perfect for hanging high over a factory floor. But the London manufacturer Holophane also became famous for making dome reflectors and refractors from prismatic borosilicate glass. The idea, that the prism shapes in the glass would spread light evenly – making the best use of the energy – caught on, and is widely used in both vintage and modern lighting. 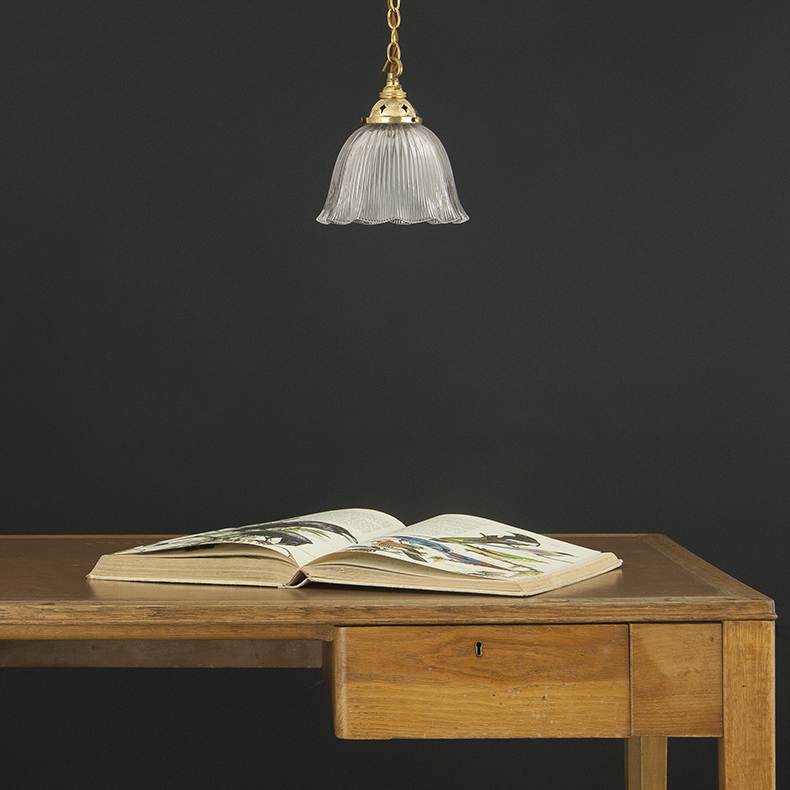 Original Holophane glass lights are still sought after, and we’ve recovered them everywhere from Cockenzie power station in Edinburgh to a textile factory in Lille – as well as the facility where they tested the engines for Concorde. The company is still going strong (though these days it’s based in Milton Keynes). In some ways, the history of vintage British lighting is tied to the history of 20th century British industry itself – as electrification, engineering and export combined. And with hundreds of works all over the UK, the lights above factory workers’ heads – as they made British classics like the K2 phone box, the Spitfire or the Mini – were themselves often made just a few miles away. So when we restore vintage lights in a way that preserves their patina or surface wear, it’s not just their age we’re emphasising. It’s their place (however small) in our heritage.